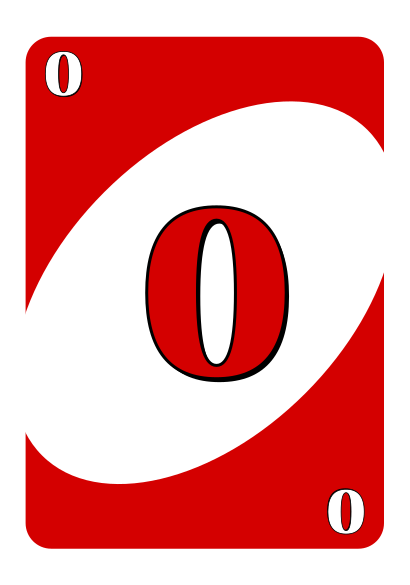 This is a Uno card, it is of the color red, and is the number zero and only has one card in the deck. It has no special properties and can be played normally. 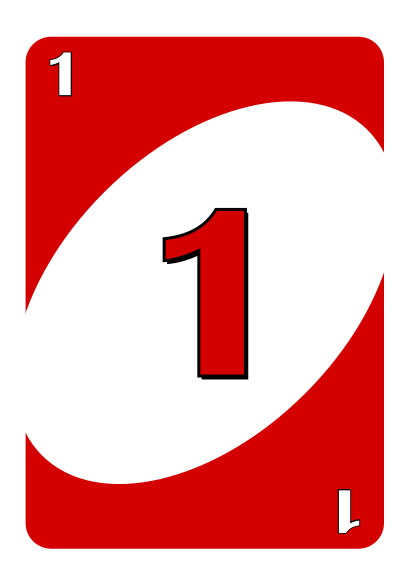 This is a Uno card, it is of the color red, and is the number one and only has two cards in the deck. It has no special properties and can be played normally. 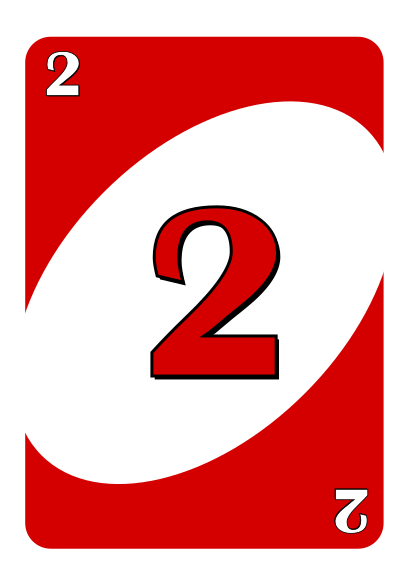 This is a Uno card, it is of the color red, and is the number two and only has two cards in the deck. It has no special properties and can be played normally. 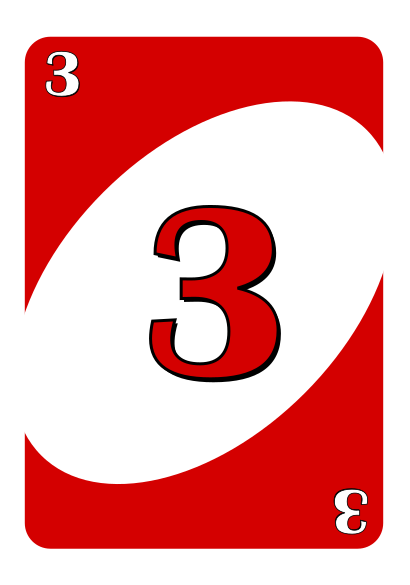 This is a Uno card, it is of the color red, and is the number three and only has two cards in the deck. It has no special properties and can be played normally. 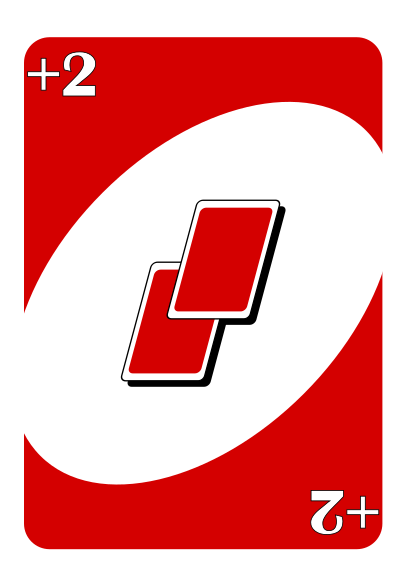 This is a Uno card, it is of the color red, and is the number four and only has two cards in the deck. It has no special properties and can be played normally. This is a Uno card, it is of the color red, and is the number five and only has two cards in the deck. It has no special properties and can be played normally. This is a Uno card, it is of the color red, and is the number six and only has two cards in the deck. It has no special properties and can be played normally. This is a Uno card, it is of the color red, and is the number seven and only has two cards in the deck. It has no special properties and can be played normally. This is a Uno card, it is of the color red, and is the number eight and only has two cards in the deck. It has no special properties and can be played normally. This is a Uno card, it is of the color red, and is the number nine and only has two cards in the deck. It has no special properties and can be played normally. 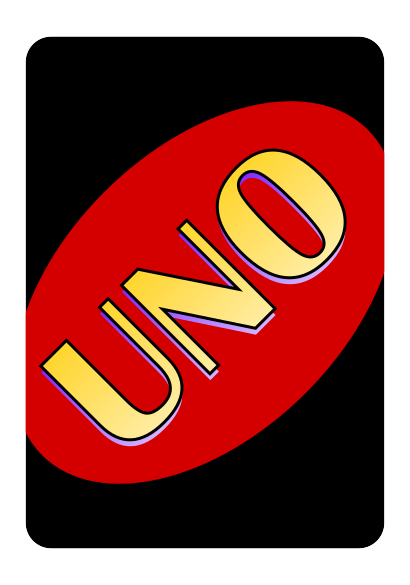 This is a Uno card, it is of the color red, and is a Draw Two and only has two cards in the deck. When played, it switches the current color to red and forces the next player to draw two cards from the deck. 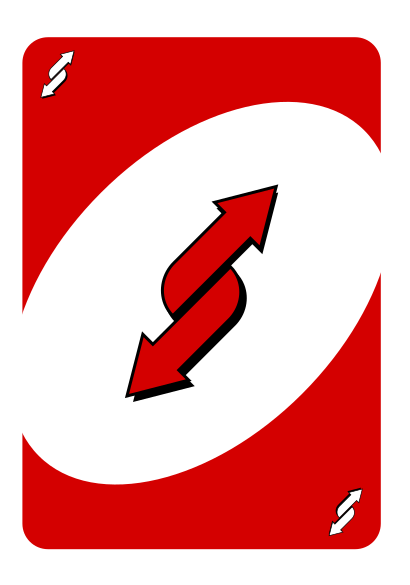 This is a Uno card, it is of the color red, and is a Reverse and only has two cards in the deck. When played, it switches the current color to red and gives the player who played the card another turn. 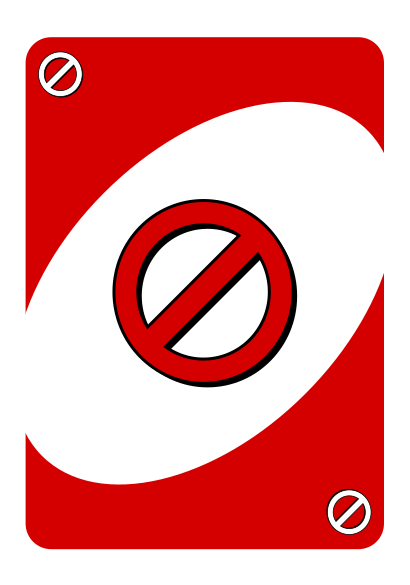 This is a Uno card, it is of the color red, and is a Skip and only has two cards in the deck. When played, it skips the next player's turn and sets the color to red. This is a Uno card, it is of the color yellow, and is the number zero and only has one card in the deck. It has no special properties and can be played normally. 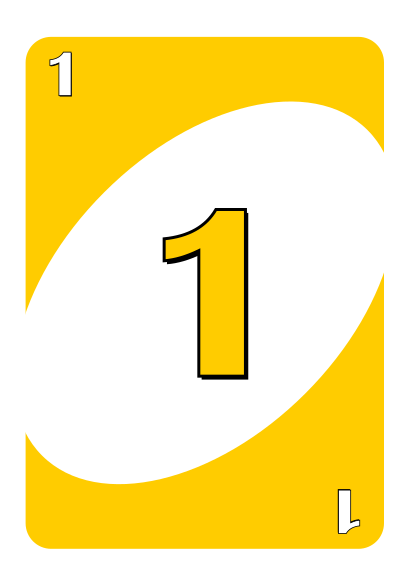 This is a Uno card, it is of the color yellow, and is the number one and only has two cards in the deck. It has no special properties and can be played normally. 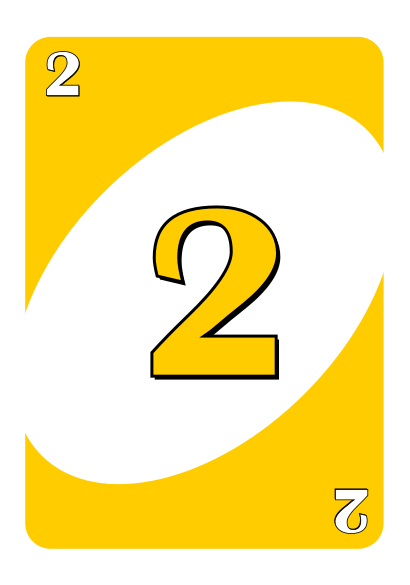 This is a Uno card, it is of the color yellow, and is the number two and only has two cards in the deck. It has no special properties and can be played normally. 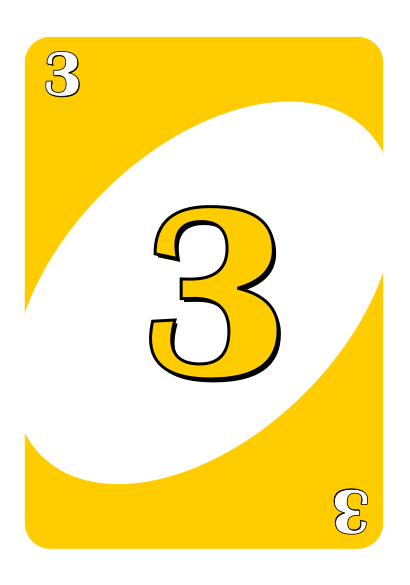 This is a Uno card, it is of the color yellow, and is the number three and only has two cards in the deck. It has no special properties and can be played normally. This is a Uno card, it is of the color yellow, and is the number four and only has two cards in the deck. It has no special properties and can be played normally. 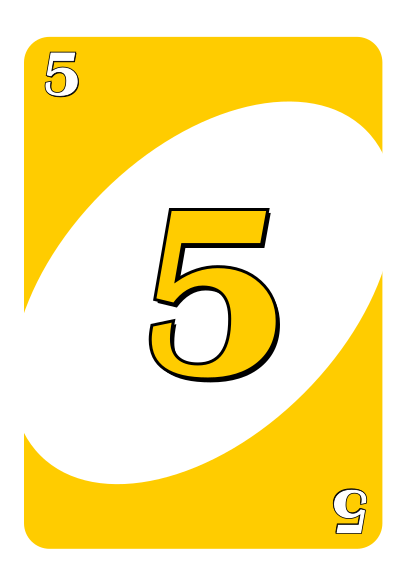 This is a Uno card, it is of the color yellow, and is the number five and only has two cards in the deck. It has no special properties and can be played normally. This is a Uno card, it is of the color yellow, and is the number six and only has two cards in the deck. It has no special properties and can be played normally. 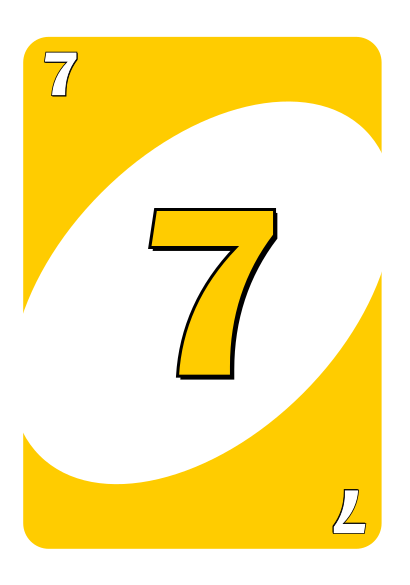 This is a Uno card, it is of the color yellow, and is the number seven and only has two cards in the deck. It has no special properties and can be played normally. This is a Uno card, it is of the color yellow, and is the number eight and only has two cards in the deck. It has no special properties and can be played normally. This is a Uno card, it is of the color yellow, and is the number nine and only has two cards in the deck. It has no special properties and can be played normally. This is a Uno card, it is of the color yellow, and is a Draw Two and only has two cards in the deck. When played, it switches the current color to yellow and forces the next player to draw two cards from the deck. 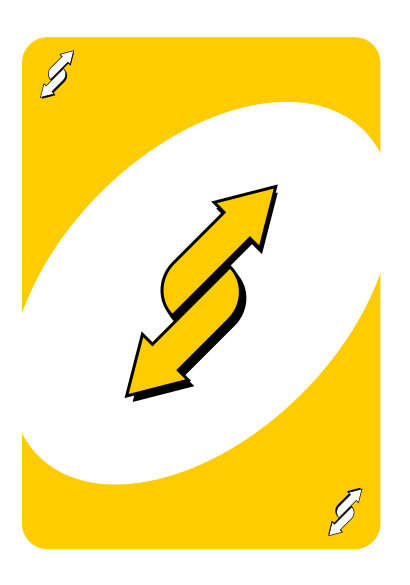 This is a Uno card, it is of the color yellow, and is a Reverse and only has two cards in the deck. When played, it switches the current color to yellow and gives the player who played the card another turn. 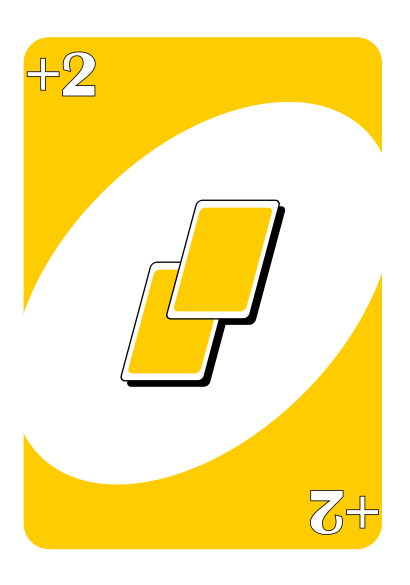 This is a Uno card, it is of the color yellow, and is a Skip and only has two cards in the deck. When played, it skips the next player's turn and sets the color to yellow. This is a Uno card, it is of the color green, and is the number zero and only has one card in the deck. It has no special properties and can be played normally. This is a Uno card, it is of the color green, and is the number one and has two cards in the deck. It has no special properties and can be played normally. This is a Uno card, it is of the color green, and is the number two and has two cards in the deck. It has no special properties and can be played normally. This is a Uno card, it is of the color green, and is the number three and has two cards in the deck. It has no special properties and can be played normally. This is a Uno card, it is of the color green, and is the number five and has two cards in the deck. It has no special properties and can be played normally. This is a Uno card, it is of the color green, and is the number six and has two cards in the deck. It has no special properties and can be played normally. This is a Uno card, it is of the color green, and is the number seven and has two cards in the deck. It has no special properties and can be played normally. This is a Uno card, it is of the color green, and is the number eight and has two cards in the deck. It has no special properties and can be played normally. This is a Uno card, it is of the color green, and is the number nine and has two cards in the deck. It has no special properties and can be played normally. This is a Uno card, it is of the color green, and is a Draw Two and only has two cards in the deck. When played, it switches the current color to green and forces the next player to draw two cards from the deck. This is a Uno card, it is of the color green, and is a Reverse and only has two cards in the deck. When played, it switches the current color to green and gives the player who played the card another turn. This is a Uno card, it is of the color green, and is a Skip and only has two cards in the deck. When played, it skips the next player's turn and sets the color to green. This is a Uno card, it is of the color blue, and is the number zero and only has one card in the deck. It has no special properties and can be played normally. This is a Uno card, it is of the color blue, and is the number one and has two cards in the deck. It has no special properties and can be played normally. This is a Uno card, it is of the color blue, and is the number two and has two cards in the deck. It has no special properties and can be played normally. This is a Uno card, it is of the color blue, and is the number three and has two cards in the deck. It has no special properties and can be played normally. This is a Uno card, it is of the color blue, and is the number four and has two cards in the deck. It has no special properties and can be played normally. This is a Uno card, it is of the color blue, and is the number five and has two cards in the deck. It has no special properties and can be played normally. This is a Uno card, it is of the color blue, and is the number six and has two cards in the deck. It has no special properties and can be played normally. This is a Uno card, it is of the color blue, and is the number seven and has two cards in the deck. It has no special properties and can be played normally. This is a Uno card, it is of the color blue, and is the number eight and has two cards in the deck. It has no special properties and can be played normally. This is a Uno card, it is of the color blue, and is the number nine and has two cards in the deck. It has no special properties and can be played normally. This is a Uno card, it is of the color blue, and is a Draw Two and only has two cards in the deck. When played, it switches the current color to blue and forces the next player to draw two cards from the deck. This is a Uno card, it is of the color blue, and is a Reverse and only has two cards in the deck. When played, it switches the current color to blue and gives the player who played the card another turn. This is a Uno card, it is of the color blue, and is a Skip and only has two cards in the deck. When played, it skips the next player's turn and sets the color to blue. 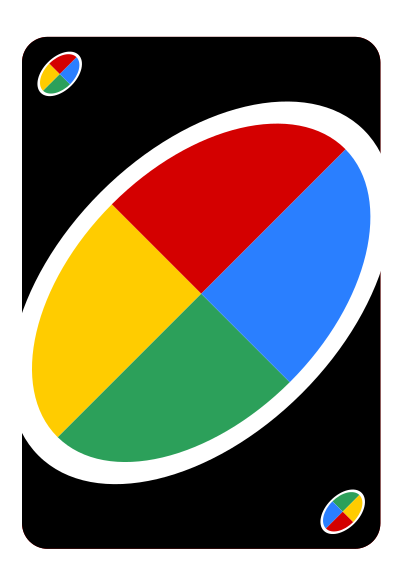 This is a Uno card, and it is one of the special cards. It is a Wild card and when played, it changes to the color the user chooses it to be with no bearings on the next player's turn. There are four of these in the deck. 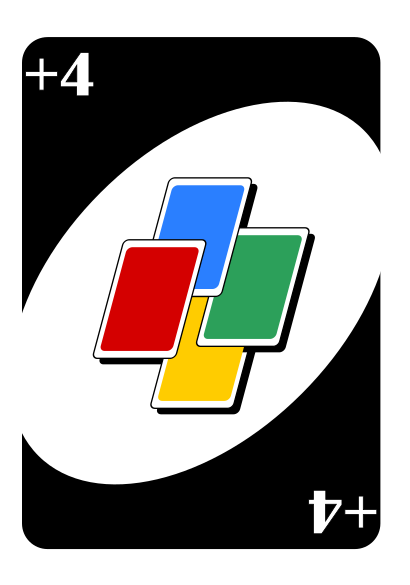 This is a Uno card, and it is one of the special cards. It is a Wild Draw Four card and when played, it changes to the color the user chooses it while forcing the next player to draw four cards and losing a turn in the process. There are four of these in the deck. Uno Card Informational Database or unocaardinfo is a website dedicated to informing readers about what each and every card in the deck can do. There 108 cards in the entire Uno deck. The site catogorizes the deck into colors and special cards and how many of them there are.